Students could soon be offering up their perspective on diversity at Okanagan College as part of new initiatives for 2013, led by the College’s Diversity Working Group. “We’re looking at a few initiatives,” said James Coble, Coordinator of Aboriginal Access & Services, who chairs the volunteer committee. Tinhorn Creek Vineyards has been on a sustainability continuum since its founding in 1994. CEO and Winemaker Sandra Oldfield will explain the winery’s journey and vision and how it uses a four-pronged approach to the idea of sustainability. In addition she will explain how to make the business case for small companies to strive toward greater sustainability. Sandra Oldfieldwas born and raised in Sonoma County, California. She received her Master’s Degree in Enology (Winemaking) from the University of California, Davis. 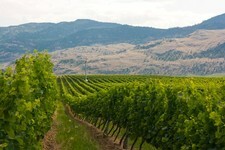 In 1995 she moved to Oliver, BC, as winemaker and one of four owners of Tinhorn Creek Vineyards. In 2011 she was named the winery’s CEO. She lives on the Tinhorn Creek property with her husband, her seven-year-old adopted daughter, and a menagerie of dogs and cats. The chair of the LGBTQ workgroup of the American College Counselling Association will be presenting a webinar Thursday, Nov. 15 on creating a supportive environment for LGBTQ students on campus. A novel idea from Business Administration Chair David Northcott has the Penticton campus making international good with its recycling. About 700 people from Okanagan College and the community came out in force to enjoy Chinese New Year and International Night, a multicultural celebration put on by students with Okanagan College International Education. This marked the first year the event was held at the Kelowna Community Theatre. The Okanagan College International Education Department is hosting the Annual Okanagan College Chinese New Year celebration and International Night on Friday, January 20 at 7 p.m. Due to overwhelming success, the event has outgrown the College theatre so this year’s event will be held at the Kelowna Community Theatre. This exciting evening gives the local community, students and faculty, the opportunity to share and celebrate our cultural diversity.